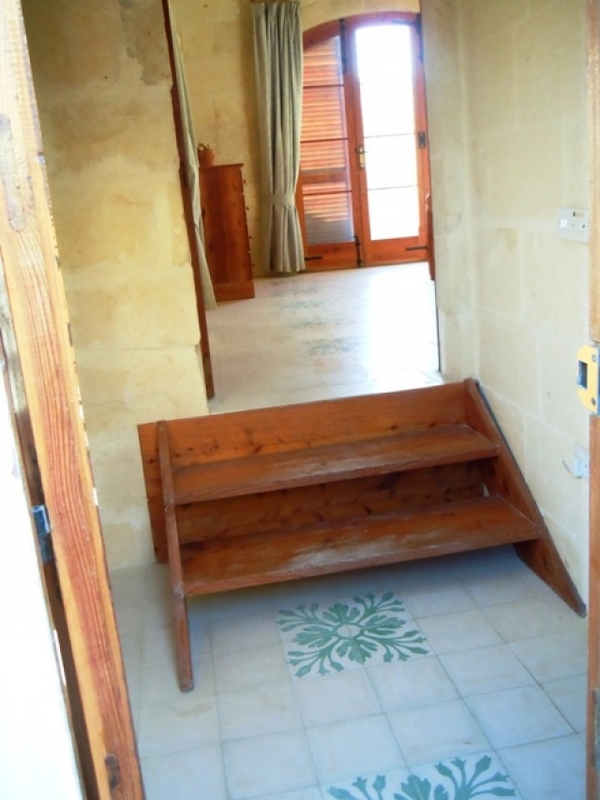 This is an outstanding example of a Gozitan traditional house with a swimming pool, sun bathing area and with a built in barbecue. 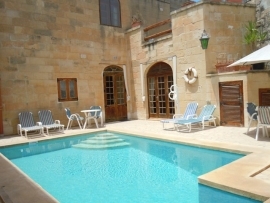 Nearest food shops, Gharb village square, restaurants and crafts village are around 5 minutes drive away from this holiday house. 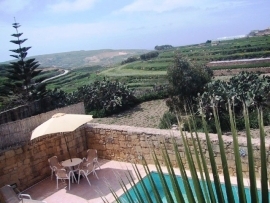 Inland Sea, Fungus Rock, Dwejra Tower, Ta` Pinu Basilica and San Dimitri Chapel are around 10 minutes drive away from this holiday house. 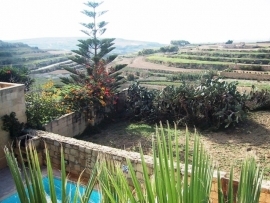 Countryside is few minutes walk away from this holiday house. 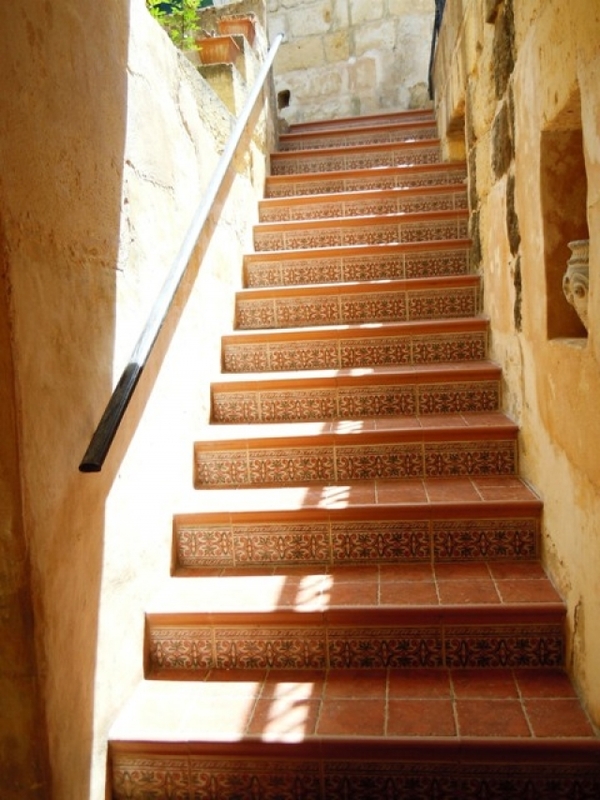 Main door opens to a hallway which is part of a patio. On right side of patio there is a triple bedroom (3 single beds) with a standing fan and with an en suite shower room. In patio there is a toilet with wash hands basin near triple bedroom door. On left side of patio there is a kitchen, dining area and sitting area with multilingual channels on television. In sitting area there is a glass and wooden door leading to a pool area which consists of barbecue area with sun loungers, umbrellas, tables, chairs plus open air shower area. In pool area there is a door leading to an alley. 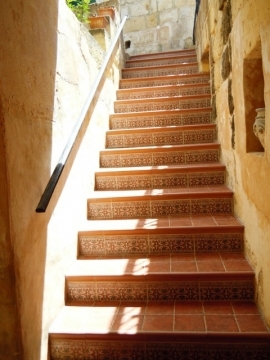 In ground floor patio there are exterior stairs which steps up to first floor patio which leads you to a twin bedroom (2 single beds) with a ceiling fan and with an en suite bathroom. From this same first floor patio there is a door leading to a double bedroom (1 double bed) with ceiling fan and with an en suite bathroom. 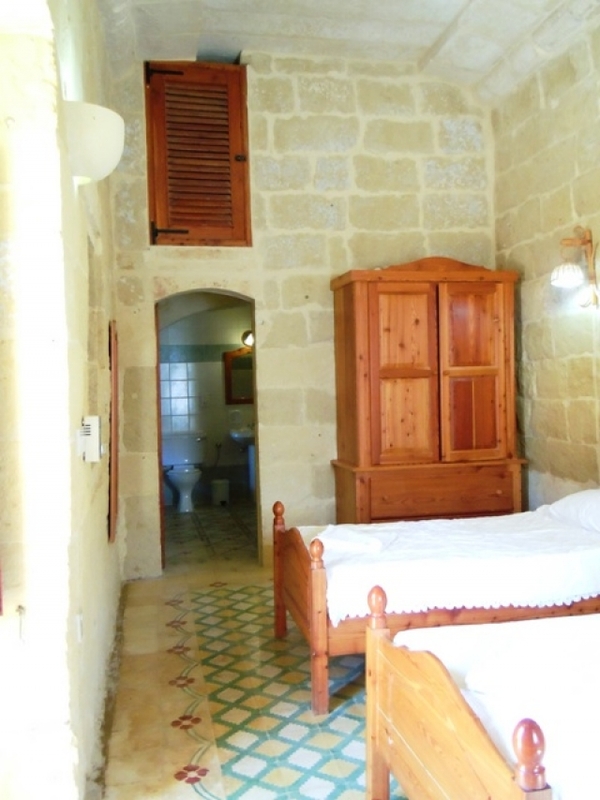 Double bedroom got an open air terrace with village views. Nearest food shops, pharmacy, restaurants, bars and Gharb village centre: are around 15 minutes walk away from this holiday house whilst around 5 minutes drive away from this holiday house. Nearest public tennis courts, public squash courts and public gym: are around 5 minutes drive away from this holiday house.